People love to save money. That simple fact will likely be true for as long as people and money exist. Why bring it up now? Well, technology has changed marketing quite a bit in the last ten years or so. With such a wealth of new tools, sometimes it’s easy to overlook the value of classic marketing tactics. Customers still love coupons, promotions, special offers, and anything else that keeps a few extra dollars in their pockets. The concept of offering customers money-saving incentives is nothing new, but your Calgary online marketing channels offer new ways to present those special offers. Now, you can target specific customers or groups with precise offers. It’s one thing to find a generic sheet of coupons in your local newspaper, and quite another to find a special deal in your email inbox, targeting a product or service in which you’ve already demonstrated interest. There are plenty of creative ways to offer discounts in the digital world, and social media allows you to get a lot of extra mileage out of each offer. The benefits that you receive from offering discounts will typically far outweigh the “lost” revenue that comes with selling items below their normal price. Think of any promotion you offer as an investment in future success. Why Offer Discounts and Deals? Let’s look at the statistical case for offering promotions, courtesy of this excellent HubSpot infographic. The big takeaway is that customers have more ways to access and use coupons than ever before, thanks to the popularity of connected mobile devices. If you’re like most people, your phone or tablet is never far from your side. In 2015, projections peg the number of smartphone coupon users at 74.1 million, and the number of tablet coupon users at 32.2 million. And those projections only account for the United States. 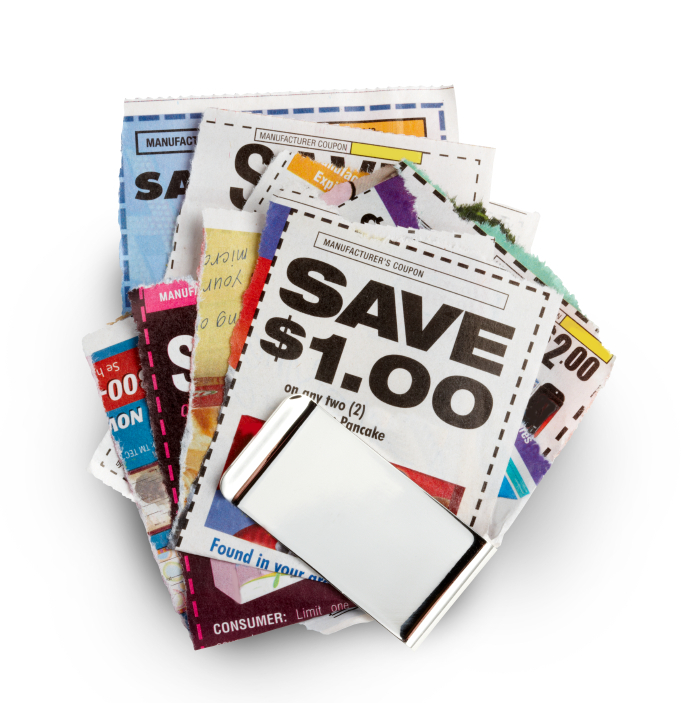 92 per cent of consumers used at least one coupon in 2013. 91 per cent of coupon-using consumers said they are more likely to return to a business that offers discounts. 57 per cent of consumers purchased an item that they would not have bought otherwise, after receiving a discount. This is one of the key hidden benefits of offering deals. The gender balance of coupon users is close to even, with 47 per cent of female shoppers and 53 per cent of male shoppers claiming to use coupons regularly. Discounts are far more than a quick fix to get more customers through your door, though there’s nothing wrong with offering a deal when business needs a boost. Each deal you offer should have a purpose, for you and your consumer. Identify your target audience, just as you would when planning any marketing initiative. Are you looking for new customers, or offering incentives for existing customers to return? Do you want people to place large orders, or are you aiming to inspire small but high-end purchases? This Entrepreneur article covers some of the questions you should ask yourself before launching a promotion. Once you understand your audience, it’s time to offer an enticing incentive. There’s always give-and-take involved. Taking a small loss on the discount itself is a minor cost, if the deal earns you a regular customer. In many cases, customers respond best to discounts on items that they’d regularly buy, anyway. If you’re looking to retain current customers, few tactics work better than offering discounts on everyday items. Regardless of the type of promotion you plan to offer, it’s important to embrace modern communication channels. Reach customers through your email list, use social media to highlight deals, and spread the word through the rest of your Calgary online marketing. Offer real value, and word of your promotion will spread through these channels organically. The exact deals you offer will depend, of course, on your line of business. Your in-depth knowledge of your business and customer base give you a leg up in crafting the right promotion for your company. Promotions are an age-old sales tactic, and they’ve lasted this long because they work. All you’ve got to do to achieve success is blend the best of the old with the best of the new marketing channels at your disposal. Looking for proven methods to boost your marketing efforts? Emphasize Design offers everything you need to grow your business, from web design to lead generation. Contact us today, and start getting the most out of your Calgary online marketing.